In the second verse of the letter to Philemon, Paul mentions two obscure people, Apphia and Archippus. Some people speculate that because they are listed together they are marriage partners or ministry partners. While we don’t know for sure, what is clear is that Apphia is listed first. What is interesting about Apphia is that this is the only mention of her in the Bible, so we have no idea what she did that was so worthy to garner such a prominent place in this letter. It would be safe to assume that she was worthy of this, be it through her character, her faith, her service, or some other noteworthy trait. 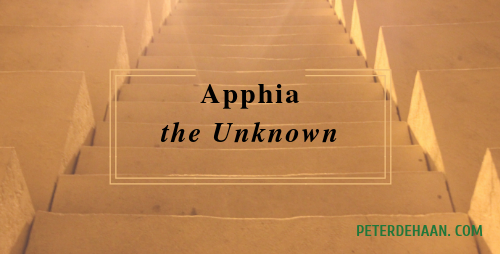 Like Apphia, who we are and the things we do may be largely unknown, but God does know—and that’s what counts. Get your copy of Women of the Bible, available from Amazon.